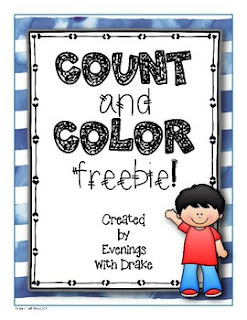 This math free resource sampler was designed to give 2nd and 3rd grade students practice with the place value concept of “bundling” (grouping) tens as hundreds. Students will build upon the understanding that each group of 10 tens is equivalent to 100 hundred. Get the full product HERE! How It Works: Students are presented with a series of three-digit numbers beginning with 100 and ending with 909. They then work to determine the number of tens (and ones) IN EACH NUMBER by bundling groups of 10 tens (and ones) and coloring those amounts in. When complete, students will have a visual representation of a 3-digit number bundled by tens and ones. Place value and addition fun! While completing the activity printables, you may wish to have base-ten blocks/manipulatives available for your kiddos to use. *This resource is perfect for early finishers, whole class or small group instruction, RTI, test prep, place value review, or as a math station/center/workshop activity. *Answers for all activity printables are included.